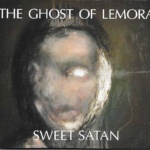 Following on from their successful ‘Hello Mr’ EP, The The Ghost of Lemora present to you ‘Sweet Satan’ EP. 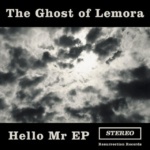 This EP is the first release for Lemora’s new line up. Joining Paul Swift on guitar, Richard Winstone on vocals and Jeff Simon on drums, are Colin Ness on bass and the legendary keyboardist Peter Jennings, once a member of Vertigo recording artists and Prog Rock pioneers Cressida. The four-track ‘Sweet Satan’ EP could be described as heavy / dark / gothic / prog / psyche / rock. And what lies in-between. Track 1: ‘Sweet Satan’; A seven minute opus of a teenager’s embrace of evil incarnate. Track 2: ‘What Fools These Mortals Be’; Inspired by the last chapter of Matthew Lewis’s ‘The Monk’. Lucifer himself presents an ultimatum in return for his services. Track 3: ‘I Dream of You’; Depending on your interpretation this could either be about love, devotion and how far you are prepared to go. Or it’s an ode to Satan. You decide. Track 4: ‘Touched by Your Love’: A deep desire of wishing the world to burn, until someone changes your mind. An album is due 2017. Or at least this side of Armageddon. 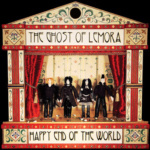 Produced by Reza Udhin of the legendary Killing Joke, Lemora have surpassed their outstanding debut with “Happy End of the World”. Eclectic influences ranging from Sparks to The Stranglers via Scott Walker and Queens of the Stone Age have created a unique album of 14 classic tracks.